What reforms are needed to propel the Indian economy and individual businesses into the future? We met with Secretary of Commerce Dr. Rahul Khullar and Chairman of the Max Group Analjit Singh on December 28th . Both leaders shared their visions of the reforms needed to keep India on a path to growth, though they came from very different past experiences. Dr. Khullar spent 30+ years in government service while Mr. Singh built a multi-billion dollar healthcare and insurance company that has redefined “quality care” in India. Reform 1 – Agriculture: India’s economic explosion since privatization began in the 1990s has propelled per capital income growth. Now that people have more money in their pockets, they expect to eat better, which is causing demand to greatly outpace supply. The issue is that “India is woefully behind on the protein side,” said Dr. Khullar, and it’s not easy to just import eggs and meat. Food inflation also has been driving overall economic inflation, so getting agriculture under control will produce positive effects across the economy. Reform 2 – Infrastructure: Energy and water pricing are not market driven, mostly because single entities own the full value chain from generation to distribution. 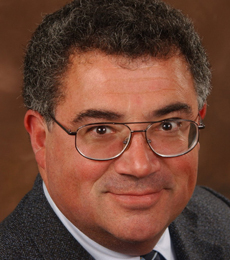 The fact that energy – such as natural gas – is underpriced provides little incentives for companies to do exploration. This produces a vicious cycle. Then there is huge congestion on highways, in airports and at seaports. Our CBS group experienced this highway congestion first-hand. We drove from Delhi to Agra today to see the glorious Taj Majal. The 120-mile trip would have taken us 2-3 hours in the US, but it took us 4-5 hours. We had to stop at the 2 state border crossings to pay a taxes as well. 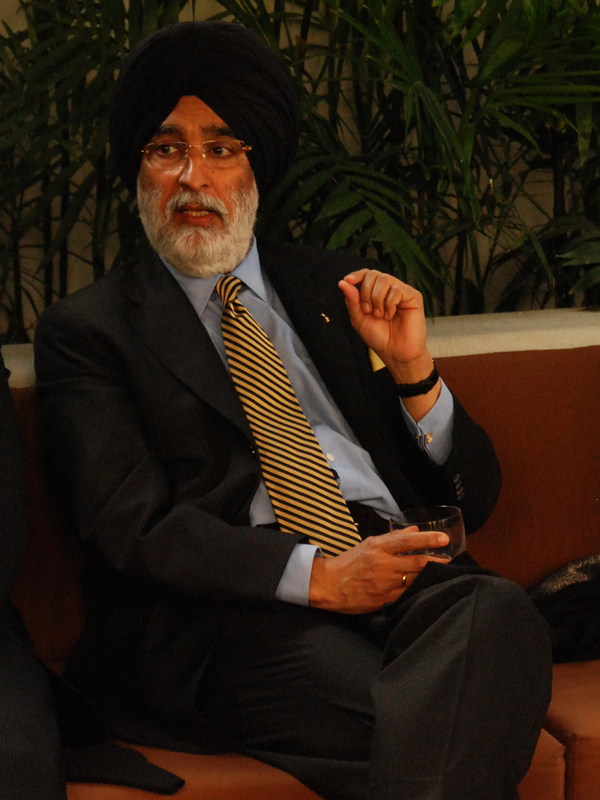 Reform 3 – Corruption: Dr. Khullar said, “Corruption is a very serious problem. But there’s too much hoopla in the streets about it. Solutions need to be more pragmatic. You cannot legislate a problem out of existence.” Mr. Singh added that it was a pain to work with the coalition government because there were so many different factions that made it difficult to create a single agenda. The US has experienced this with just 2 political parties. India has 6 recognized political parties. The government has begun to use technology more effectively through the creation of an E-portal for government transactions to offer greater transparency. 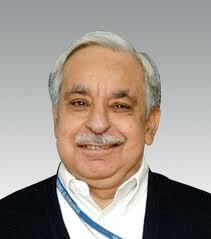 Dr. Khullar’s department is leading this effort on the Commerce side. Business Lessons: India is one of the most complicated places to do businesses because of the vast heterogeneity of the population. To add to that, Mr. Singh explained that the world is getting so much more complex that he has had to change his company’s business principles to live up to these new standards. Below are a series of changes Mr. Singh has implemented. India’s GDP was expected to grow at 8.5% in 2010; India would overtake China in terms of growth by 2013. However, China’s economy is still 4 times larger than India’s and it would take the Indian economy a long time to surpass the Chinese in term of size. India’s dependency ratio – the proportion of children and elderly to working-age adults – currently stands at 56%. It is one of the best in the world and will remain so for a generation. China’s dependency ratio is currently 40% but is deteriorating rapidly because of its one-child policy. India’s adult literacy rate is only 66%; China’s is 93%. Nearly half of children under five are malnourished in India. 200 of India’s 588 districts are affected by a Maoist insurgency called the Naxalite Movement. Now I should start packing. Stay tuned for more! First stop: New Delhi. 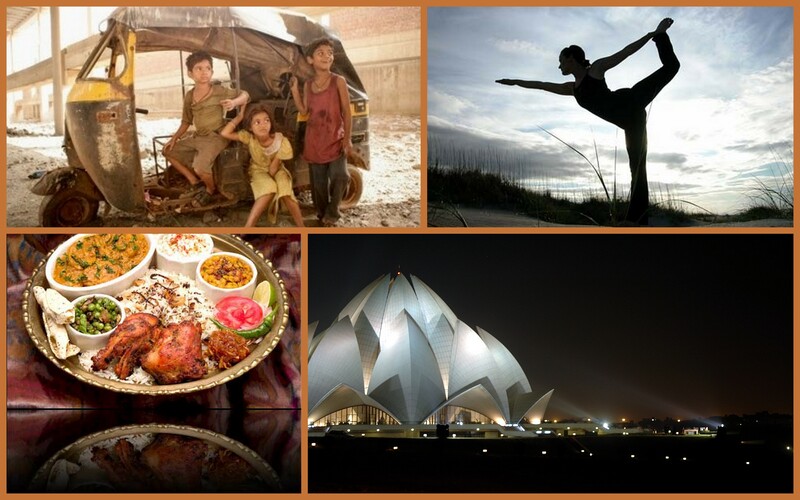 Why visit India on the Eve of 2012? 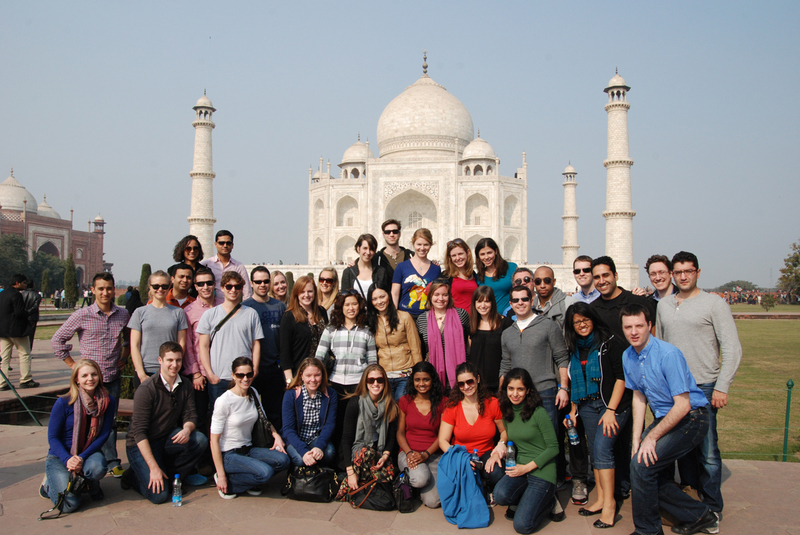 Thirty-nine Columbia Business School students will embark today on a two-week trip to India. My excitement for the trip boils down to three words: democracy, capitalism and culture. I hope to dive into each of these areas and come back to NYC with a new perspective, new dance moves and new recipes. Democracy: India is the largest democracy in the world. About 344 million people voted in the 2009 parliamentary election for Manmohan Singh’s party. That is absolutely enormous compared to the 307 million people living in the US today, of which only 131 million people voted in our 2008 election. Politicians in the US often hold up our political system to be a ‘perfect union’ and a ‘beacon of freedom’ to the rest of the world. But the truth is: we have a lot to learn from the successes and struggles of other countries, especially in light of the gridlock in Congress over the last six months. The Indian parliamentary system has certainly seen its fair share of dysfunction due to the preponderance of parties, but I’m interested to hear from local government officials about how they are able to navigate bureaucracy to get things accomplished. Capitalism: Indian GDP is expected to grow at 7.6% in 2012 compared to the 1.7% growth expected for OECD countries. 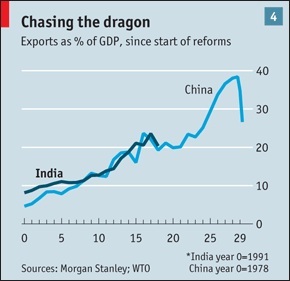 A recent Economist article predicted that India’s growth rate is expected to overtake China’s by 2013. This article explained that “Indian capitalism is driven by millions of entrepreneurs all furiously doing their own thing… They are less dependent on state patronage than Chinese firms and often more innovative: they have pioneered the $2,000 car, the ultra-cheap heart operation and some novel ways to make management more responsive to customers.” The CBS students on this trip will have the chance to meet with executives and entrepreneurs from some of the most successful telecom, media, financial services, industrial and social enterprise companies. We will have the opportunity to hear first-hand about what differentiates them, and what we can do better in the US. Culture: I love naan, coconut-based curry and saag paneer. But my tastes are decidedly American and undiscerning when it comes to Indian food. I plan to learn as much as I can about Indian food and beer while I’m abroad, while avoiding ‘Delhi Belly’ at all costs. I also can’t wait to see Bollywood in Mumbai or dance bhangra on New Year’s Eve. Like many others, I absolutely loved the movie Slumdog Millionaire, but I realize that’s only the tip of the iceberg when it comes to Indian cinema and dance. I just hope I don’t embarrass myself too much as I’m learning new dance moves. 1. Why did you choose to accept the Chazen invitation to come to India? It’s a no brainer, really. A great opportunity to travel to a new place with some excellent people. 2. What are you most excited to see on our adventures to Delhi, Agra, and Mumbai? I am looking forward to seeing as much as I can of the “real” India. I have no confidence that I will have another chance to visit India, seeing as how it took me 52 years to get there the first time. 3. What is your favorite type of Indian food? I like these little rolled-up things with spicy potatoes – no clue what they’re called, but you can get them in a hole-in-the-wall place in Greenwich Village that’s only open a few hours every day. I don’t really know anything about Indian food. 4. As a statistics professor, what do you think the probability is that an average student will get sick (e.g., “Delhi belly”) on the trip? What is the probability that a very responsible student will get sick? They’ve scared us all so much that I think everyone will be prepared. I predict no major health incidents. 5. What is your favorite trip taken to another country and why? I went on one other Chazen trip, to Australia. On that one I brought my two sons (18 and 19 at the time). We had a blast. 6. As a beer brewer, what is your favorite Asian beer and why? I don’t know much about Indian beer, which is why I’ll be conducting field research during our trip. 7. Do you know how to dance bhangra? Are you interested in learning? I’m not much of a dancer. 8. What else would you like your fellow travelers to know about you before embarking on this adventure? Why? What did you hear? The widening in inequality gap does not necessarily mean that the rich is getting richer at the expense of the poor; in fact, all three speakers today all believed unanimously that general living standards are improving even for the poor, and it’s just that the rich is getting richer at a much faster rate. Poor infrastructure is holding the economy back. For example, it took us FIVE hours to commute 125 miles. That is an average speed of 25 miles per hour! The unreliable sources of drinking water and power are also concerning. To fuel this elephant, political reforms are necessary. Unfortunately, as Dr. Khullar mentioned, political reforms take place very slowly in this country. Let’s hear more on this from other speakers on this trip. Next stop: Taj Mahal! Welcome to the inaugural Chazen Institute Student Travel Blog! Follow 39 current MBA students, Professor David Juran and Megan Carley of Student Life as they add to the population numbers of India, the world’s second most populous country from December 27 through January 6 on the 8th annual Chazen Study Tour. Check back for updates and posts from the tour’s official bloggers Regina Lee’13 and Stephanie Cheung’12. And stay tuned for Global Immersion Turkey posts by official blogger Liz Harrison ’12 in mid-January. Until then Happy Holidays! And don’t forget the bug spray!